Pair of French 18th century wool woven on linen cushions.Rare to find this type of textile, also called cambresene, on an indigo ground, usually the wool floral motif comes on a white linen. 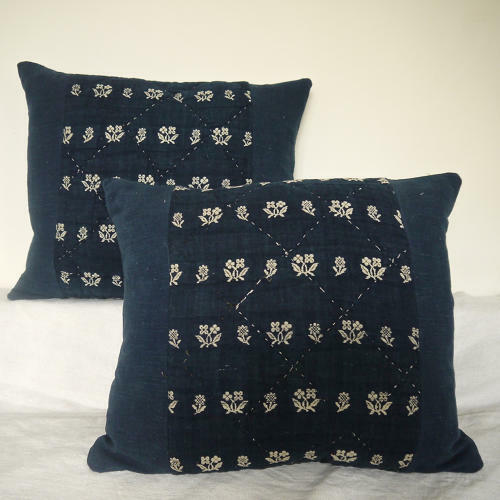 A simple and beautiful design which is also quiltedi n a diamond shape pattern.Bordered and backed by a French 19th century natural indigo dyed linen. Slipstitched closed with a duck feather insert.